Bengaluru, Tuesday, May 23, 2017: The Government of Karnataka and 2030 WRG launched the Karnataka Multi-Stakeholder Platform for Water (Karnataka MSP-Water) in Bengaluru today, with representation from public sector, private sector and civil society. Water is increasingly becoming a scarce commodity. 2030 Water Resources Group’s hydro-economic analyses project a doubling of water demand across sectors in Karnataka by 2030 over current levels, with 70% of the solutions highlighting needed improvements to agricultural productivity and efficient irrigation. Population growth and urbanization are projected to widen the urban water demand-supply gap in Karnataka from 24% (2011) to 58% (2030), with the Greater Bangalore region accounting for two-thirds of the additional urban water demand in 2030 (2030 WRG, 2014). Within the industrial sector, water demand is expected to triple by 2030, with half the additional demand coming from the power sector. 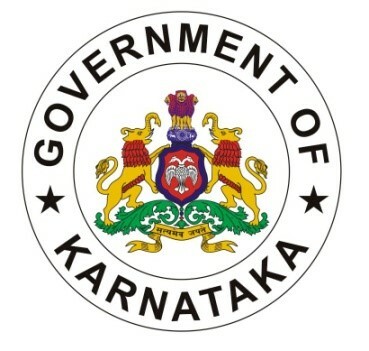 To address this growing gap between demand and supply, Government of Karnataka signed an MOU with 2030 WRG to drive large-scale transformation in water resources management. The initiatives proposed and driven by the Karnataka MSP-Water will adopt long-term perspectives to water resources management and highlight the leadership of the state of Karnataka in addressing pressing water issues. This will be done through Public-Private-Community partnership models, mobilization of financial markets, and identification of innovative demand-side management solutions at scale, grounded in the business case for sustainability while incorporating hydro-economic considerations. • Innovative financing and implementation models to promote drip irrigation for the state’s sugarcane farmers, in collaboration with sugar mills, financial institutions, the farming community and the government. • Facilitation of market linkages between the farming community and agri-business companies to promote water-efficient cultivation practices along a Drip-to-Market Agro Corridor (DMAC), including the Ramthal MIS project. • Promotion of the reuse of treated urban wastewater, through a policy framework and the establishment of a Resource Centre. As a part of the Drip irrigation in Sugarcane Program, the government will support groups of farmers with infrastructure requirements to connect canal water to farmers’ fields, while facilitating financial markets support to farmers for on-farm drip systems. Taking up drip irrigation has the potential to reduce water abstraction by 30%, with more water available at the tail end of the canal system, and to improve sugarcane productivity by 25 to 30 percent against the baseline, benefitting farmer incomes. In the Drip-to Market Agro Corridor (DMAC) cluster concept, drip irrigation infrastructure over 500,000 ha will be connected to sustainable offtake models in partnership with long-term established buyers for the produce. This has been initiated for Ramthal Drip Irrigation Project, irrigating about 24,000 hectares of land through fully automated pressurized pipes and connected with surface drip irrigation systems. 2030 WRG and the Water Resources Department of the Government of Karnataka aim to replicate the Ramthal project across other drip irrigation-focused projects in the state like Koppal, Singatalur, Poorigali, and Savanur. The 2030 WRG was launched in 2008 at the World Economic Forum and has been hosted by International Finance Corporation, World Bank Group, since 2012.